The Australian reported in its article, “Xenophon deported by Malaysia,” that Australian Senator Nick Xenophon has been detained and then deported in Malaysia as part of an “unofficial parliamentary delegation to review the electoral system.”In reality, Senator Xenophon was part of a Western effort to assist Malaysia’s Wall Street-London backed opposition into power as part of a wider geopolitical strategy to align Southeast Asia against China’s emerging regional influence. 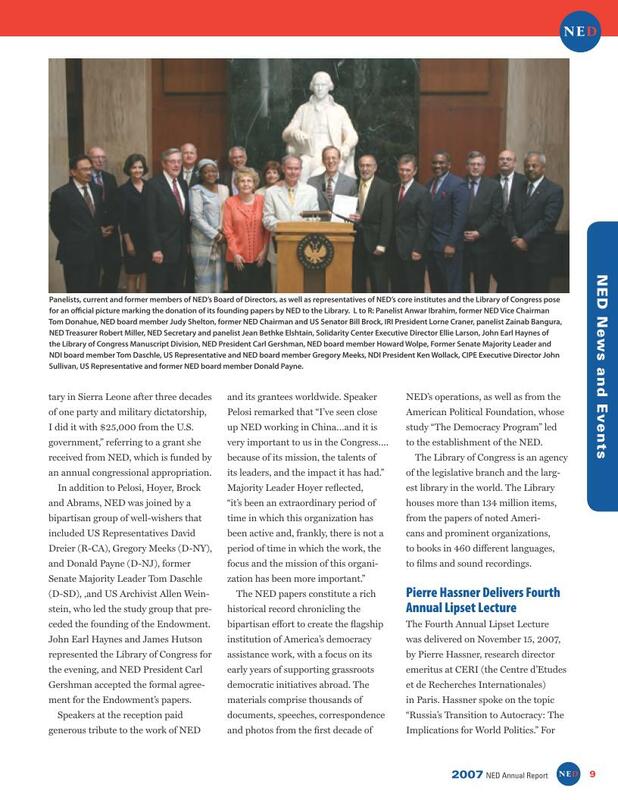 Image: (RT) Despite Bersih’s best efforts to portray itself as apolitical, it is clearly led for and by Malaysia’s US-backed opposition, with the IMF’s Anwar Ibrahim leading the coalition. 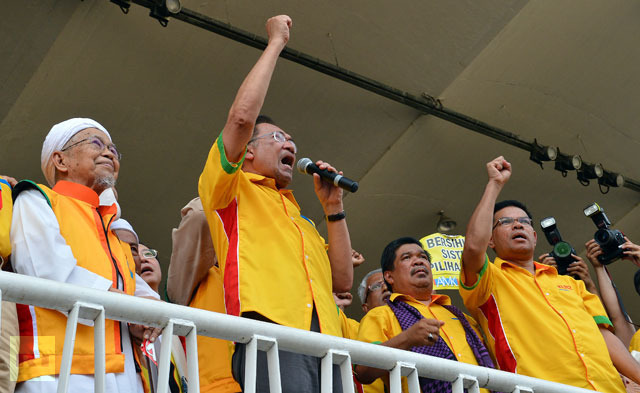 Here, Anwar Ibrahim (center) can be seen speaking to a Bersih rally in Malaysia. Xenophon’s planned meeting with Anwar Ibrahim, who with Western-backing has in fact created Bersih to propel himself into power, is also indicative of Australia’s insidious meddling in Malaysia’s sovereign, internal affairs. 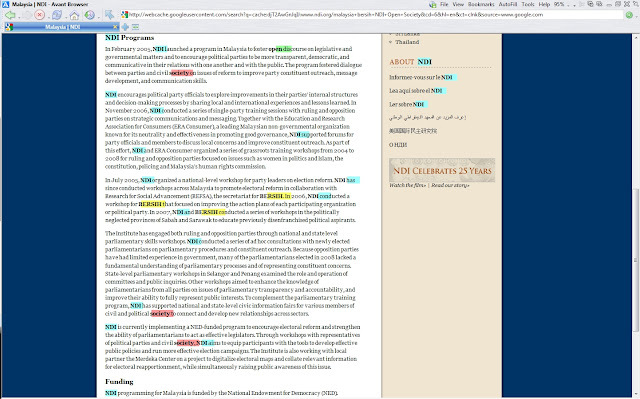 Anwar Ibrahim was Chairman of the Development Committee of the World Bank and International Monetary Fund (IMF) in 1998, held lecturing positions at the School of Advanced International Studies at Johns Hopkins University, was a consultant to the World Bank, and a panelist at the Neo-Con lined National Endowment for Democracy’s “Democracy Award” and a panelist at a NED donation ceremony – the very same US organization whose subsidiaries are funding and supporting Bersih – casts irrefutable doubt on their official agenda for “clean and fair elections.” Claims by Bersih members that Anwar Ibrahim is “hijacking” their movement ring especially hollow when looking at both his and Bersih’s entwined foreign financial and political backers. Two Years of Western-Engineered Chaos in Arab World Justifies Malaysia’s Decision. Clearly Senator Xenophon’s visit to Malaysia was not one of “monitoring,” but of checking up on a group of clearly compromised, openly foreign-funded, subversive elements operating behind the guise of disingenuous principles – making the Malaysian government’s claims that Xenophon constitutes a security risk absolutely justified. The last two years of Western “democracy promotion” in places like Egypt, Libya, and Syria, have left devastation, rising despots, and extremists in its wake and has justified similar moves made earlier this year by Russia who has begun purging itself of the same meddlesome, disingenuous “NGOs” that are backing Bersih and Awar Ibrahim in Malaysia. From the West’s “human rights” observers, to the United Nations itself, all have been demonstrably abused to pursue the agenda of Western corporate-financier interests, many times both causing and compounding the alleged abuses they set out to “stop” in the first place. With articles like “The Redireciton” by Pulitzer Prize-winning journalist Seymour Hersh in the New Yorker, and the Wall Street Journal’s “To Check Syria, U.S. Explores Bond With Muslim Brothers” as far back as 2007 revealing that the West was planning to put armed extremists in power across the Arab World, it is clear that the terrorism and despotism now unfolding across the Arab World is not an unintended consequence, but a long premeditated conspiracy unfolding as planned. Similar plans to use faux-democracy movements and even violence in Southeast Asia to serve as cover for Western instigated regime change has also been well documented in Malaysia as well as Myanmar and neighboring Thailand. 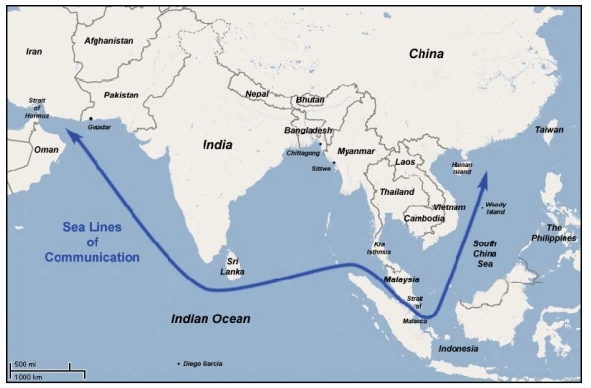 Plans to use Southeast Asia against China have been documented as far back as the late 1990’s. Image: Figure 1. From SSI’s 2006 “String of Pearls” report detailing a strategy of containment for China. While “democracy,” “freedom,” and “human rights” will mask the ascension of Western aligned client regimes into power, it is part of a region-wide campaign to overthrow nationalist elements and install client regimes in order to encircle and contain China. Violence in areas like Sittwe, Rakhine Myanmar, or Gwadar Baluchistan Pakistan, along with political protests in Thailand and Malaysia are not coincidences and documented evidence indicates immense Western backing for opposition groups in each country. Russia has set the precedent, Malaysia is following suit and lending Russia’s decision much needed legitimacy in the face of a still Western-monopolized global media landscape. Other nations must follow, dropping the pretense that the West is somehow “exceptional,” and that there are somehow no conceivably, justifiable circumstances that could see an Australian senator detained and deported. Indeed, Xenophon has exceeded his mandate and responsibilities to represent the interests of the Australian people, breached Malaysia’s sovereignty, while misappropriating both Australia’s time and resources as he meddles in the sovereign affairs of a foreign nation. The “democracy” and “human rights’ racket the West has used to cover up what is indeed neo-imperialism is crumbling, not least because of its stalwart, stubborn support for what are now clearly Al Qaeda terrorists mass murdering civilians in Libya and Syria. When these are “freedom fighters” promoting “democracy,” what does that make Bersih and Anwar Ibrahim when they are taking cash and support from the same interests that are propping up Al Qaeda abroad? What does that make Senator Nick Xenophon for using Australia’s reputation and resources to aid and abet such people?